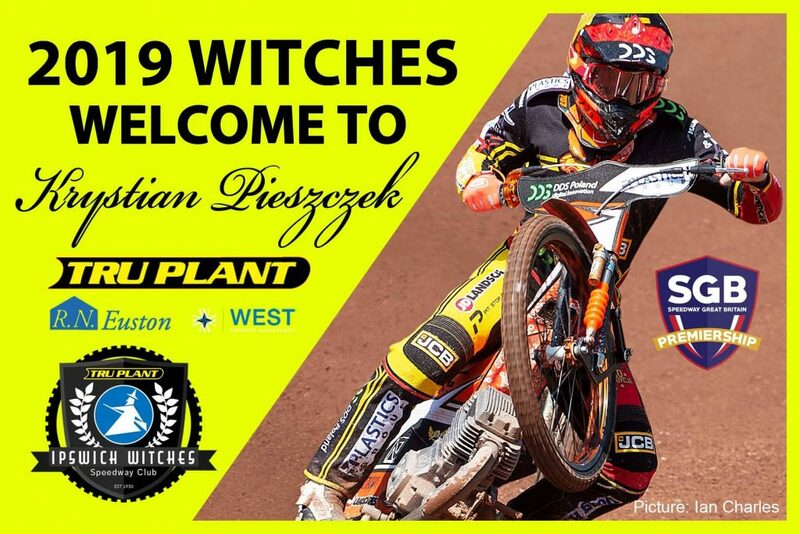 The ‘Tru Plant’ Witches have completed the signing of Krystian Pieszczek for the 2019 Premiership season. The Polish rider had his first taste of British speedway in 2018 with Leicester finishing with an average of 6.50 and Pieszczek explained how the move to Suffolk came about. He will ride for hometown club Gdansk in the Polish first division and Indianerna in the Swedish Elite league next campaign and says he is looking forward to being back in British speedway again. The 23-year-old was part of the Polish World Cup squad that lifted the title in 2016 as he also finished runner-up in the World Under-21 Championship that year to Max Fricke and he says he is ready to give his all to the Witches. “The fans will definitely see me giving it my all and hopefully putting as many points as possible on the board for Ipswich. First and foremost, I want to stay injury free and secondly, I want to represent my clubs as best as possible and hopefully reach the play-offs. Pieszczek joins Danny King, Jake Allen, Cameron Heeps and Richard Lawson in the 2019 side with just two spots left to fill until team building is complete.